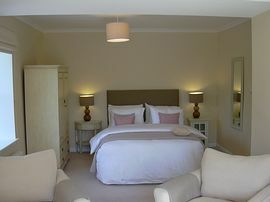 Modern tastefully designed bedrooms and en-suites. 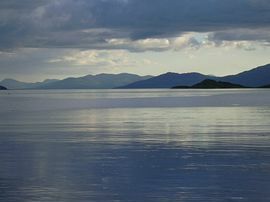 Photo opportunities and fresh air at scenic Cuil Bay. 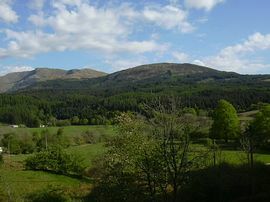 An excellent location for tourists, walkers and cyclists to explore the great outdoors of Lochaber; the area offers fabulous scenery, geology and history at Glencoe, dramatic mountains around Ben Nevis, and empty glens, forests and lochs in Appin. Your hosts Donna and Mike offer a high standard of accommodation and attention to detail, in a relaxed and comfortable environment. All bedrooms are individually styled and tastefully decorated with their own private en-suite shower facilities. 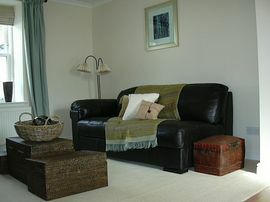 * Family Room tariff is for 3 guests. 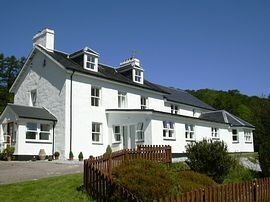 When used by 4 guests there is a supplement of £30.00 per night. "Excellent accommodation. Loved every minute" "Amazing B&B, thank you for your hospitality" "An oasis of hospitality, good food, very comfortable & good company" "Another great stay"
We are easy to find on the A828 Argyll Coastal Route off the A82, just 6 miles south of Ballachulish, 18 miles from Fort William and 26 miles from Oban. Glasgow is 95 miles and Edinburgh 125 miles. Arriving from Fort William or Glencoe on the A82 you reach a big roundabout South of the bridge over Loch Leven at Ballachulish. At the roundabout follow the sign for A828 Oban, Argyll Coastal Route. Travel 5 miles through Kentallen and Pineapple House is clearly signposted on the right hand side in the heart of Duror. Coming North from Oban on the A85, we are 20 miles North of the Connel Bridge in the direction of Fort William on the A828 Argyll Coastal Route. On route through Appin you pass the Oban Sealife Centre, Castle Stalker on your left hand side, and a large road sign, welcoming you to the Highlands. When you reach the sign for Duror, Pineapple House is found 2 miles further on, clearly signposted on the left hand side.